Prof. Libor Brom "Where is your America?" 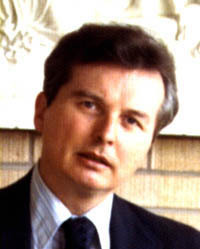 LIBOR BROM, emeritus professor of Russian studies and Eastern European expert at the University of Denver, served as president of the World Representation of Czechoslovak Exiles and chairman of the Czech World Union. The current events in Czechoslovakia known as the velvet revolution are identified as such because the Communists are handled there with velvet gloves. This gang of rude, spiteful, lazy, cunning criminals seizing power over a state, fanatically persisting for 41 years in breaking down families, confiscating properties, spilling blood, destroying the nation's wealth, spoiling environment, brainwashing generations of their countrymen, then retreating from their crimes as if nothing had happened and coming out of it without any judgment and punishment. Imagine this! Another clan of the same gang, a bunch of chronic opportunists, hypocritic exploiters, crafty pretenders, arrogant scoundrels, national outcasts and international adventuters joining the revolution and continuing their bloodsucking as if no evil had ever been done. Imagine this - these moral, mental and spiritual degenerates not repentant of their evil past, but proudly persisting on their paty affiliation and in free elections voting again for the old criminal party. Imagine this! Now these comrades trying to actively sell the idea that to blame for their crimes are whose who were persecuted, expropriated, deported, jailed, tortured and killed; those who for decades were denied food, shelter, education and the hope for a normal life; those whose thousand-year Christian culture was ravaged and their God blasphemed. Vaclav Havel has resurrected president Thomas G. Masaryk's Christian principle "Jesus, not Ceasar!" Czechs and Slovaks who have survived the forty-one years Communist inferno have no problem with this statement, but first the Communists, present or past, must be removed from all leadership positions! After all, didn't all tyrants meet justice after the Nazi holocaust? Vaclav Havel, president of the Czech Republic, is not a messianic political leader for the Czechs who were driven out of their homeland by the Nazis and communists. These exiles do not identify with his "moral" and political profile. 1. Havel's collaboration with the communists was such that, unlike genuine opponents of the former regime, he was able to travel abroad between imprisonments. When Czechoslovakia was under merciless communist oppression, Havel even participated in a procommunist demonstration while in New York. 2. Havel's ongoing association with communists allowed him material advantages, Western recognition, an opportunity to build a political organization and a reputation as an anti-communist crusader. 3. Havel's alliance with communists in 1989 culminated in an agreement to start communist political reforms, to preserve communist interests and to stage the communist "Velvet Revolution" in Prague. Later it was the communist parliament that unanimously elected Havel president. 4. Havel's first ambassador to the United States was a fanatic Stalinist during Czechoslovakia's darkest days of communist tyranny -- the 1940s,'50s and '60s. 5. Havel's first minister of foreign affairs was a dedicated communist during the Stalinist rule in Czechoslovakia, a Western-based correspondent who supplied communist media with propaganda material. As foreign minister, he publicly displayed his disdain for Czech and Slovak exiles. 6. Havel's first minister of finance, later prime minister, held - the Communist Party line against exiles, compared them in a speech with Bolsheviks, and denied them the restitution for their confiscated property. 7. Havel's first parliament chairman, a Moscow-trained communist and subsequently general secretary of the Czechoslovak Communist Party, after the Soviet invasion was active in the communist diplomatic service abroad and returned to communist-dominated Czechoslovakia to continue his lifelong service in the party. After the "Velvet Revolution" he became head of the Committee for a New Czechoslovak Constitution that never materialized. 8. Havel's ambassador to Canada, a stalwart communist, was a member of the Central Committee of the Slovak Communist Party. 9. Havel's consistent protection of his communist cronies has kept them immune from indictment and punishment for even the worst atrocities that were committed, and has made it possible for them to launder funds stolen under the old regime. 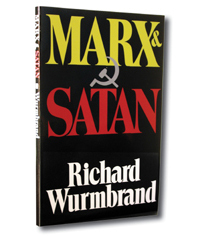 This has enabled communists to become legal owners of new "privatized" enterprises. 10. Havel's insistence that all Czech people share a "collective guilt" for the communist rule has in effect absolved the communists of any responsibility for their crimes. It also has aroused political skepticism in the population devastated by a half-century of Nazi and communist occupation. 11. Havel's reliance on old domestic structures and foreign secret societies, his avoidance of popular presidential elections and of personal contacts with anti-totalitarian national forces abroad, his inability to prevent the breakup of his constituency into more than 60 confusing political parties has caused the ultimate disintegration of the Czech Republic. 12. Havel's reluctance to identify himself with the 1,000-year-old -Czech spiritual heritage has isolated him from the anti-communist national core. These are reasons why the great majority of Czechs in exile find Havel's character lacking and his incompetence intolerable, and believe he has proven himself unworthy to lead a free Czech Republic.